Charlie Sheen OG: Named after the man with tiger blood in his veins and winning on his mind, this indica dominant hybrid is a potent blend of OG Krush, Green Crack and Blue Dream. The blends speak for themselves with a modicum of fame and combine to produce leafy, crystal covered buds with tinges of orange. Almost a poster boy image of weed, the nugs of this Indica have flavours such as berry and pine which sit perfectly alongside the sweet citrus undertones of this cannabis strain. The effects last for around two hours and come in two stages. This is a sociable smoke with THC levels of 21% -23% that creates an uplifting and euphoric high, leaving the smoker focused and able. The social properties of Charlie Sheen OG are a definite highlight. This initial stage gives way to sedation and relaxation, allowing you to get that good nights sleep after a night on Netflix or a chilled one with friends. 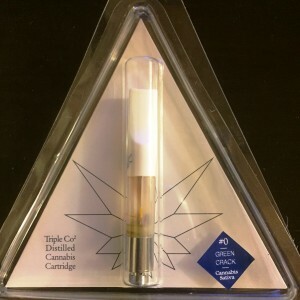 Dizziness, anxiety and dry mouth can be negative factors when indulging, a problem the man himself I don’t believe has ever had, but a little bit of this is not to be unexpected when dealing with such a potent cannabis blend. Certainly not one for beginners. Pain relief and relaxation are the main medical benefits of this strain and anyone looking to combat fatigue would not go far wrong with a bud of this. The reasonable levels of CBD, just above 1%, make this a good choice for conditions such as epilepsy and give this cannabis strain analgesic and anti-inflammatory properties creating superior states of relaxation. Unsurprisingly ,it’s highly recommended for chronic pain, anxiety, and anyone looking for a deep nights sleep. This strain can be grown indoors or outdoors and has a flowering period of 8-9 weeks. Its yield is moderate and gardeners of intermediate or above should be comfortable growing. Buy High Quality and Original Charlie Sheen OG (Indica) Weed online at Marijuana Floor.